An Mian means peaceful sleep and in the diagnosis of disease in Traditional Chinese Medicine one of the important facts we need to know is if one has peaceful, uninterrupted sleep. Of the top conditions we see at Atlantic Acupuncture, insomnia and other sleep issues are at the top of the list. A good night’s sleep makes you feel energized and alert the next day. Being engaged and active feels great and increases your chances for another good night’s sleep. When you wake up feeling refreshed and use that energy to get out into the daylight, do active things, and engage with your world. You’ll sleep better the next night and increase your daily energy at all levels. But why is that? The TCM explanation of sleep is that the shen (mind/spirit) is produced by an abundance of jing (essence) in the body that is the result of normal physiological processes. The jing is produced mainly in the kidney and is transported to the brain via the heart along regular meridian pathways. Sleep is the nocturnal travel of shen to the heart and the jing from the kidneys to the heart to restore and refresh the shen. Increased stress hormones caused by lack of sleep also raise the overall level of inflammation in your body. This again can create a greater risk for heart-related pathologies, as well as cancer and diabetes. Inflammation in fact, is thought to be one of the chief causes of physical deterioration as we age. Sleep also plays an important role in a process called memory consolidation. During sleep, your body may be resting, but your brain is busy processing your day, making connections between events, sensory input, feelings, and memories. Deep sleep (Rapid Eye Movement or REM sleep) is a very important time for your brain to make memories and links, and getting more quality sleep will help you remember and process things better. It has been found that people who sleep fewer than 7 hours per night are more likely to be overweight or obese and it is thought that a lack of sleep impacts the balance of hormones in the body that affect appetite. The hormones ghrelin and leptin, which regulate appetite, have been found to be disrupted by lack of sleep. If you want to maintain or lose weight, don’t forget that getting adequate sleep on a regular basis is a huge part of the equation. Sleep is a time to relax, but it’s also a time during which the body is hard at work repairing damage caused by stress, ultraviolet rays, and other harmful exposure. Your cells produce more protein while you are sleeping. These protein molecules form the building blocks for cells, allowing them to repair the damage. Sleep is crucial for athletes because this is the prime time for tissue recovery. In the middle of the last century there was a Master Acupuncturist in China named Wang Le-Ting. Master Wang was renowned for many important accomplishments throughout his career and there have been several books written by and about him. I came to know of Master Wang’s writings years ago through my Chinese professors and became fascinated by one of his key theories about the practice of acupuncture, that is, the “herbalization” of acupuncture. Wang believed that just as herbal medicines have specific functions like clearing heat, draining damp and breaking through blood stasis, so too, specific acupuncture points had the same effects on the bioenergetic system. He went on to develop acupuncture formulas to match herbal formulas so that any given herbal formulas actions could be duplicated and reinforced by this system of acupuncture. Take for instance the formula Si Jun Zi Tang also known as Four Gentlemen Decoction. This is a formula that tonifies the Qi and strengthens the primary digestion of the spleen and stomach. This base formula can be combined with other herbs to treat everything from hypothyroidism to eczema and irritable bowel syndrome to hepatitis. Ren Shen Ginseng tonifies Qi and strengthens the spleen and stomach for primary digestion. Bai Zhu Atractylodes strengthens the spleen, augments Qi and drains damp accumulations. Fu Ling Poria dries damp accumulations and strengthens the spleen. Zhi Gan Cao Glycyrrhizae harmonizes, warms and strengthens all of the organs of the middle torso. In this formula we have two herbs that tonify Qi, four herbs that strengthen the spleen and stomach, two herbs that dry the damp accumulations that cause retardation of digestive function and one herb that warms the organs helping that part of the digestive function that relies on metabolic warmth. Our acupuncture formula wants to follow the same functions as the herbs so we can choose two points that tonify the Qi like Qi Hai CV 6 and Tong Gu BL 66. We can also use points to fortify the spleen and supplement the middle organs like Di JI SP 8 and Gong Sun SP 4. We can choose two herbs that dry damp accumulations like Fu Liu KI 7 and San Yin Jiao ST 36. We also want to choose a point that will warm the intended organs like Yin Bai SP 1. Using this method of selection we are able to duplicate all of the intended actions of the herbal formula Four Gentlemen Decoction with a matching acupuncture prescription except for one. In our herbal formula we provide substances (Ginseng and Atractylodes), that actually create Qi in the body. In our acupuncture formula the points we use to tonify Qi actually do not add anything to the body, they encourage the tonification of Qi through normal organic functions. The needle themselves cannot add qi to the body except with the use of one thing, electric Qi. If the concept of bio electricity had been known by the ancients it would have been one of the definitions of Qi. Further, I believe that the definitions of Qi that developed over time were in fact attempts to explain the electrochemical nature of the human body. Electricity by definition is hot in nature and flows along regular pathways (circuits). Electricity animates (provides movement to machines and bio entities) and disperses if it is not contained. Electricity Illuminates, always seeks a ground (Yin) and moves with great speed. Electricity is matter without form and it transforms as in an electrochemical reactions. In TCM we know the nature of a thing by observation of its characteristics; the above is a clear definition of nothing other than Yang Qi. 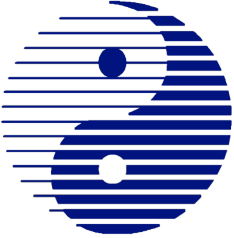 By adding mild electrical stimulation to the points that we chose for augmenting the Qi we are actually adding Yang Qi to the body at those points. This completes the reproduction of our herbal formula, Four Gentlemen, with our acupuncture formula. They now match each other in every way. The herbal medicine works on the body from the inside out exactly as the acupuncture works on the body from the outside in. This dynamic brings about a more timely and effective therapeutic response than either therapy alone. If you are receiving herbal medicine and acupuncture from us at Atlantic Acupuncture of Vero Beach, this is the paradigm from which we work and one of the reasons for our incredible success with our clients and friends. 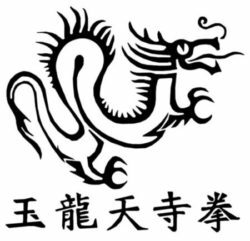 I began my studies of traditional Chinese medicine In the mid 1970’s, I was perusing an undergraduate degree while working part time as an animal handler at an equine veterinary clinic in Phoenix, Arizona. Dr. Saum, the vet, had gone up to Vancouver BC to learn animal acupuncture from a famous Chinese doctor. When Doc returned he was so excited about acupuncture it was the only modality he wanted to use to treat the horses and other large animals we saw at the clinic. One of my jobs was to take the horses from their trailers to the treatment stalls and “gentle” them with a brush or by caressing their muzzle with calming words and gentle songs while we waited for Doc. That was the best part of the job. Because acupuncture was new to Doc and I was handy, he would talk to me about where each needle went, how deep and at what angle it should be inserted and all about what the Chinese said the needle would accomplish. I think by downloading the information so precisely to me he was keeping it straight in his own mind. Once I overheard Doc and one of the cowboys whose horse we were treating talking about the placebo effect, the cowboy thought that was all there was to “this Chinese voodoo” that Doc was practicing. Doc asked the cowboy if he had had any conversations with his horse about acupuncture. The man said no. Doc asked me if I had been talking to the horse about the wonders of acupuncture and I said I hadn’t. Doc said as far as he knew the horse had no conception at all about the effects of acupuncture and had no personal opinion about medicine, Chinese or otherwise. “When I put a needle in a horse to make him eat, he eats. When I put a needle in to make him poop, he poops.” “There ain’t any placebo effect in animal acupuncture”. Faith healing is modern Christianized term for shamanism. A shaman is a person regarded as having access to, and influence in, the world that exists between the physical and that which is beyond our normal senses. A Shaman is one who practices divination and healing using herbs, incantation, ritual and imagery. Archeological evidence demonstrates that at the dawn of Chinese history, before the second millennium BCE prior to the Shang dynasty the primary health care providers were Shamans (Wu). This is in fact true for all cultures throughout the prehistoric world. In ancient times disease was thought to originate from one of two probable causes. Either one had done something to aggravate the harmony of one’s ancestors or one had been invaded by an evil immaterial entity. There were two clear courses of therapy for these disease causes; either the ancestor was placated through ritual and offerings or the evil entity was induced to leave the host using shock and fright with loud noises and flashes of light like fireworks in China. The shaman might also menace a possessed host with scary chants and sharp sticks or spears to drive the evil entity away. Some anthropologists believe that the sharp stick thing eventually may have eventually evolved into acupuncture. The current healthcare debate has brought up basic questions about how modern medicine should work. On one hand we have the medical establishment with its enormous cadre of M.D.s, medical schools, big pharma, and incredibly expensive hospital care. On the other we have the barely tolerated field of alternative medicine that attracts millions of patients a year and embraces hundreds of treatment modalities not taught in conventional medical schools. Conventional mainstream medicine promotes the notion that it alone should be considered medicine, but more and more this claim is being exposed as an officially sanctioned myth. When scientific minds turn to tackling the complex business of healing the sick, they simultaneously warn us that it’s dangerous and foolish to look at integrative medicine, complementary and alternative medicine, or indigenous medicine for answers. Because these other modalities are enormously popular, mainstream medicine has made a few grudging concessions to the placebo effect, natural herbal remedies, and acupuncture over the years. But M.D.s are still taught that other approaches are risky and inferior to their own training; they insist, year after year, that all we need are science-based procedures and the huge spectrum of drugs upon which modern medicine depends. Even the American Board of Medical Acupuncture an MD only organization, considers its members to be superior in the field of acupuncture with only 200 hours of training compared to the thousands of hours required by licensed acupuncturists. Their assertion is that their advanced knowledge of biomedicine fills in any gaps in their acupuncture training. In 2002, The New England Journal of Medicine published a study demonstrating that a common knee operation, performed on millions of Americans who have osteoarthritis — an operation in which the surgeon removes damaged cartilage or bone (“arthroscopic debridement”) and then washes out any debris (“arthroscopic lavage”) — worked no better at relieving pain or improving function than a sham procedure. Those operations can go for $5,000 a shot. One root of the problem is that the coalition in favor of evidence-based medicine is weak. It includes too few doctors, commands too little attention and energy from elected officials and advocates, and it is shot through with partisanship. Naturally, pharmaceutical companies and medical device makers wish to protect their profits, regardless of the comparative effectiveness of other treatments (or cost effectiveness) of what they are selling. So, do we dump conventional mainstream medicine? Of course not, I do not propose that we give up the life saving drugs and procedures that are the wonder of modern medicine, but I do suggest that blind faith in allopathic medicine is as misguided as blind faith in alternative medicine. Further research is needed in both allopathic and alternative medicines but it is slow going because the expense of research is often prohibitive. If we were to bring the cold eye of science to every aspect of medicine, accepting and using only that which had been fully scientifically validated and proven, we would have very little medicine at all. Florida is the tennis capital of North America and Vero Beach is right in the heart of it all. Of all the sports injuries I see in the clinic the most common are related to tennis. Did you know that 53% of amateur tennis players and 30% of professionals will play with an injured back this year? Tennis injuries can result from a combination of poor posture, lack of muscle flexibility and co-ordination and incorrect training regimens. The most common tennis injuries occur in the lower back, knees, ankles, shoulders, elbows, hands and wrists (is there anything left?). Tennis injuries are generally defined as either cumulative (overuse) or acute (traumatic) injuries. The impact and stress of the repetitive motions both upper and lower body are sometimes hard on the muscles and joints, especially if you ignore the early warning signs of an injury such as; joint pain, tenderness, swelling, reduced range of motion, comparative weakness, numbness and tingling. Of the top ten injuries that can occur when playing tennis, Acupuncture treats nine directly and very successfully. The fifth (stress fracture) can be treated indirectly by decreasing pain and healing time. Acupuncture improves flexibility, circulation, balance & coordination which will help keep you injury free and helps reduce down time after any injury. Acupuncture is safe, effective and works quickly. Most of the athletes I treat say that acupuncture also has the added benefit of helping to get them into that zone of mental clarity and relaxation that is so important to their game. Whether you want to tune up your back, tune up your game or both, Acupuncture can help you arrive on the court pain free and playing like a pro. In the traditional Chinese medical paradigm we see that many diseases can be caused by one of two malfunctions in our bio systems. Either there is an imbalance between the needs and the availability of substances that nourish that organ and tissue or there is an obstruction to the delivery of those nourishing substances. If there is an obstacle to the delivery of nutrient, herbal and acupuncture therapies can be used to break through whatever is causing the blockage while simultaneously nourishing that which is deficient. If there is a simple a lack of available nutrient and nourishment, herbal tonics can be used to supplement and restore the function of the organs and tissues. Fatigue is always due to either obstruction of needed substances or their unavailability and can usually be treated quite easily with Chinese herbal tonics and acupuncture. Fatigue is a Qi (bio energy) and or blood vacuity. Qi and blood have a mutually dependent relationship, blood cannot move without Qi and Qi cannot be formed without blood. The most important signs of Qi vacuity are fatigue, weakness, low voice, shortness of breath and spontaneous perspiration. Depending on the origin of the fatigue there will be other signs that help guide us to the correct medicines and acupuncture for treatment. For instance, if the lung Qi is deficient there will be more marked shortness of breath along with wheezing, cough, sputum and thirst. If the heart Qi is vacuous there will be palpitations and irregular heartbeat, anxiety and depression because the Qi and blood are unable to nourish the mind. If the digestive qi is deficient there is decreased appetite, loose stools, anorexia or weight gain. If the kidney Qi is vacuous there may be low back pain, weak legs and impotence in men and irregularities in the cycles of women. Because Qi is a yang substance, its nature is movement and warmth. If there are signs of cold like cold limbs and aversion to cold, easily chilled and a desire for hot foods and warm drinks a more profound Qi deficiency is indicated. All foods build blood but there are few foods, by themselves that directly build Qi. Here at Atlantic Acupuncture, we have developed Strength & Stamina as a tonic that nourishes essence, promotes digestive functions, nourishes blood, protects the liver, enhances blood circulation, and calms the mind. Strength & Stamina is used for invigorating all organ functions and enhancing strength and endurance. Strength & Stamina is an adaptogen and research on the herbal medicines in this formula show that Strength & Stamina; decreases stress levels, adrenal hypertrophy, and vitamin C depletion. Improves swimming time to exhaustion and increases stamina. Elite runners given the key ingredients in Strength & Stamina finished their 10-kilometer race in 45 minutes, versus 52.6 minutes in the placebo groups. Anyone who takes part in running knows that this is a huge improvement. In elite cyclists, a similarly profound effect was observed: 23.3% increase in total work performed and a 16.3% increase in time to exhaustion. This means the athletes not only worked longer but harder as well. In elite skiers, the ingredients in Strength & Stamina improved tolerance to lower oxygen levels and enhanced adaptations to exercise. The trend here is simple: studies were conducted in highly active, well-trained persons, and the ingredients in Strength & Stamina consistently exemplified a profound ergogenic, performance-enhancing effect. In otherwise healthy persons, Strength & Stamina reduced the changes in heart rate and blood pressure associated with states of chronic stress. In patients with chronic fatigue, the ingredients in Strength & Stamina were found effective not only in reducing fatigue, but also in improving quality of life. In elderly subjects, Strength & Stamina improved cognitive function, social functioning, and quality of life. The ingredients in Strength & Stamina have been shown to; increases strength, flexibility and bone density, lower resting heart rate, stabilize blood pressure, reduce LDL cholesterol, and improves microcirculation, peristalsis, decrease stress response while showing marked improvements in memory and concentration. Strength & Stamina is only available at our Vero Beach clinic or through our online store. On these hot and humid summer days in Vero Beach Florida, nothing beats a nice cool glass of water! Most of us know that we need to stay hydrated, especially when we are working outdoors during the heat of the day. What a lot of people are not aware of is, that drinking a lot of water is good but water can push electrolytes out of our systems through perspiration and urination. Deficient electrolytes in our bodies can result in fatigue, cramping, nausea, dizziness, irregular heartbeat and eventually convulsions and coma. In Traditional Chinese Medicine these symptoms all fall under the disease category of “Summer Heat Syndrome”. Electrolyte is a scientific term for salts, specifically ions. Electrolytes are important because they are what your cells (especially nerve, heart, muscle) use to maintain voltages across their cell membranes and to carry electrical impulses (nerve impulses, muscle contractions) across themselves and to other cells. Your kidneys work to keep the electrolyte concentrations in your blood constant despite changes in your body. When you exercise heavily, you lose electrolytes through perspiration and drinking plain water, though refreshing, does not replace them. The major electrolytes in your body are: sodium, potassium, chloride, calcium, magnesium, bicarbonate, phosphate and sulfate. These electrolytes must be replaced to keep the electrolyte concentrations of your body fluids constant. So, many sports drinks have sodium chloride or potassium chloride added to them. They also have sugar and flavorings to provide your body with extra energy and to make the drink taste better but many people find sports drinks too sugary and instead use the various forms of Pedialyte. Another alternative to sports drinks and Pedialyte are electrolyte replacement packets that you can find in camping supply or army surplus stores. One electrolyte replacements found in most drug stores is Emergen-C. The traditional Chinese approach to Summer Heat Syndrome is simple, tasty and good for you. Rich in electrolytes, fiber and refreshing goodness, watermelon (xi gua) is the first choice of Chinese herbal medicine to treat and prevent Summer Heat Syndrome. Whatever your choice of electrolyte replenishment, be sure to recharge every day and more often if you are engaged in outdoor activities of any kind. On these hot and humid summer days in Vero Beach Florida, nothing beats a nice cool glass of water! Most of us know that we need to stay hydrated, especially when we are working outdoors during the heat of the day. What a lot of people are not aware of is, that drinking a lot of water is good but water can push electrolytes out of our systems through perspiration and urination. Deficient electrolytes in our bodies can result in fatigue, cramping, nausea, dizziness, irregular heartbeat and eventually convulsions and coma. In Traditional Chinese Medicine these symptoms all fall under the disease category of Summer Heat Syndrome. Electrolyte is a “medical/scientific” term for salts, specifically ions. Electrolytes are important because they are what your cells (especially nerve, heart, muscle) use to maintain voltages across their cell membranes and to carry electrical impulses (nerve impulses, muscle contractions) across themselves and to other cells. Your kidneys work to keep the electrolyte concentrations in your blood constant despite changes in your body. When you exercise heavily, you lose electrolytes through perspiration and drinking plain water, though refreshing, does not replace them. The major electrolytes in your body are: sodium, potassium, chloride, calcium, magnesium, bicarbonate, phosphate and sulfate. CIndy & Robert Kienitz, D.Ac. One of the most popular sports played here in sunny Florida is golf and one of the two most common sports related sources of injury is, you guessed it, golf. Here are a few fun facts and tips related to this wonderful pastime. If you choose to walk, rather than ride 18 holes, you will not only walk roughly four miles, but also burn 2,000 calories. To compare, golfers that ride carts burn about 1,300 calories. To this day, golf is one of only two sports, along with the javelin throw, to have ever been played on the moon. Back on February 6, 1971, Apollo 14 member Alan Shepard hit a ball with a six-iron, swinging one-handed as a result of his pressure suit. Every year, roughly 125,000 balls are hit into the water surrounding TPC Sawgrass’ world-renowned island green 17th hole. Each modern golf ball manufacturer creates different numbers of dimples on their golf balls but there are 336 dimples on a regulation, tournament golf ball. When it comes to dimples, more is definitely better, as the dimples reduce wind resistance and allow the ball to fly higher. There is a trade-off, however, between possible height and possible distance: very dimple-dense balls will fly high but not go very far. Golf balls travel much farther when the day is warm, so if you need a little extra umph to backup your swing, play on a hot day. The rubber components of a golf ball are more resilient when they are warm. Additionally, warm air is less dense than cold air and provides less resistance. So, if you’ve got a ball with the ideal number of dimples and it’s warm enough to make you sweat, you’re good to go. 53% of amateur golfers and 30% of professional golfers will play with an injured back this year. Golf injuries can result from a combination of poor posture, lack of muscle flexibility and coordination and incorrect equipment. Most common golf injuries occur in the lower back, elbows, shoulders, hands and wrists, and are generally defined as either cumulative (overuse) or acute (traumatic) injuries. The impact and stress of the repetitive motion of the swing is sometimes hard on the muscles and joints, especially if you ignore the early warning signs of an injury such as; joint pain, tenderness, swelling, reduced range of motion, comparative weakness, and numbness and tingling. Of the top ten injuries that can occur when playing golf, Acupuncture treats the first nine directly and very successfully. The tenth, fracture of the hamate bone, can be treated indirectly by decreasing both pain and healing time. Acupuncture improves flexibility, circulation & coordination which will help keep you injury free and helps reduce down time after any injury. Acupuncture is safe, effective and works quickly. Many of the Senior PGA players I have treated say that acupuncture also has the added benefit of helping to get them into that zone of mental clarity and relaxation that is so important to their game. Whether you want to tune up your back or tune up your game or both, Acupuncture can help you arrive on the fairway pain free and on par.